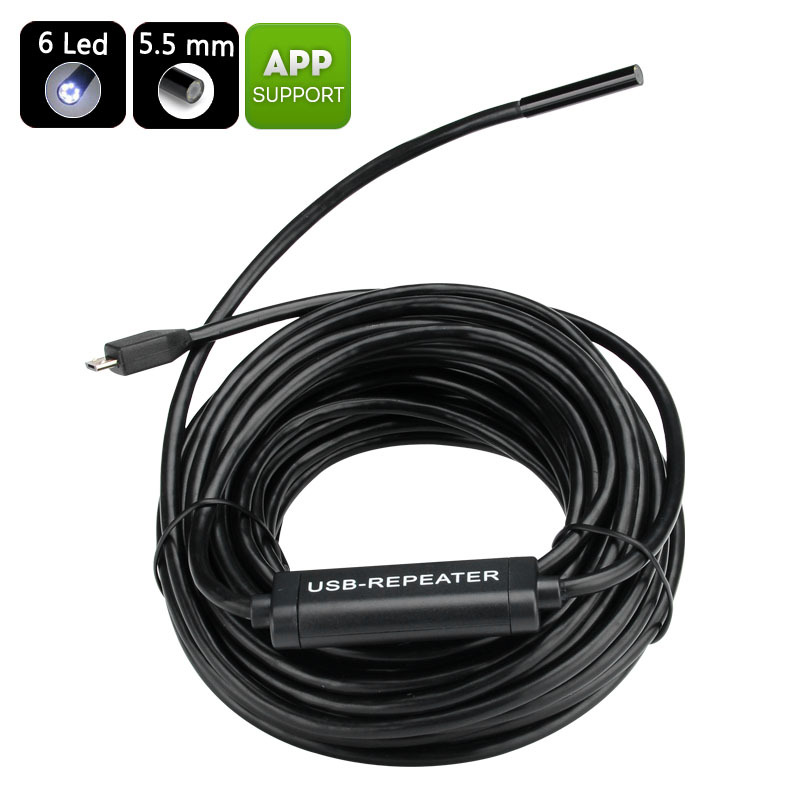 Successfully Added 10 Meter Smartphone Endoscope - 6 Adjustable LED Lights, VGA 640x480 Resolutions, Ultra Thin 5.5mm, USB to your Shopping Cart. one of the thinnest endoscopes you will find this 5.5mm Smartphone endoscope has a focal distance of 3 to 8 cm and with 6 adjustable LED lights it can see clearly in the dark as well as light. This hi tech gadget is the perfect solution for working in those tight to get places and brining you a clear view to mechanics, plumbers, engineers, archaeologists, PCB technicians, construction workers, emergency services and those operating in a countless other industries. Its compact size and ability to work with your cell phone means you needed carry around extra monitors, while its light weight and affordable price mean you needed spend a fortune for the lates technologies aimed a simplifying your life. with a 60 degree viewing angle, adjustable LED lights, and 640x480 resolutions this super slim Smartphone endoscope is the perfect addition to anyone's toolkit. It comes with 12 months warranty and is brought to you by the leader in electronic devices as well as wholesale endoscopes and electronic gadgets..